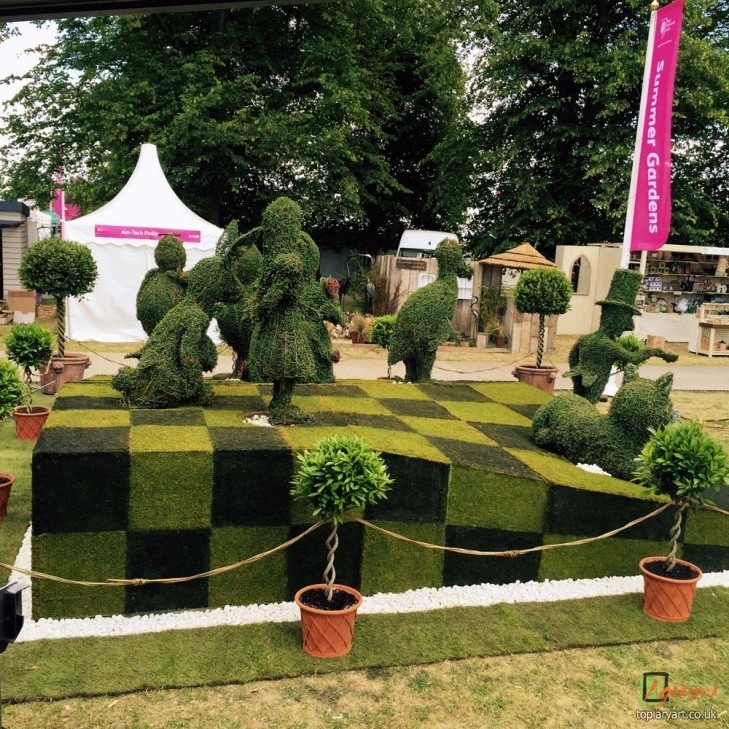 This year Agrumi were present at the RHS Hampton court palace flower show 2015 with a special garden display. 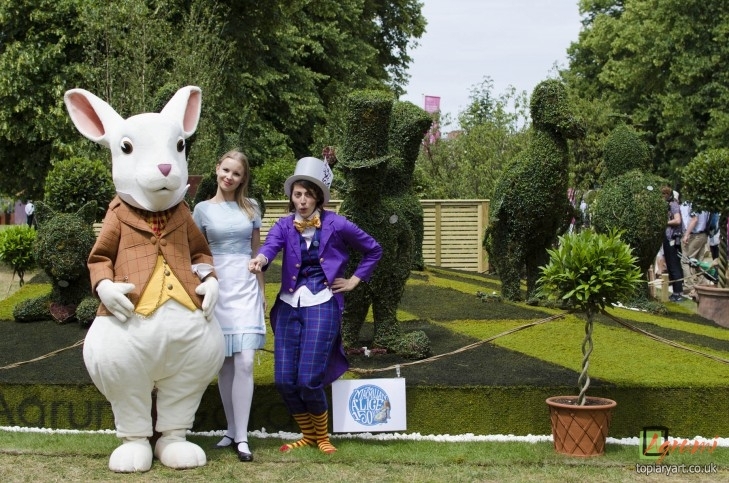 With the backing of Pan Macmillan, and designs based on illustrator John Tenniel’s drawings for Lewis Carroll’s original Alice story, we’ll be celebrating 150 years of Alice’s Adventures in Wonderland with a fun fitting feature made in marvelous topiary! 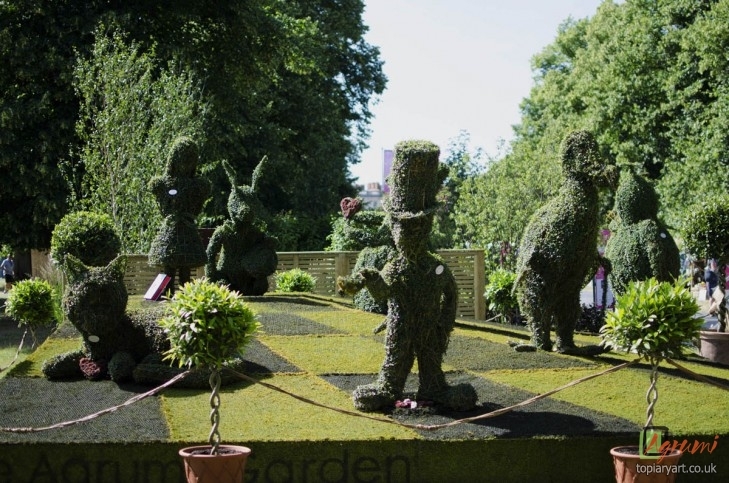 The Agrumi “We’re all mad here!” Garden will feature living Privet figures, including the Cheshire cat, Mad Hatter and Queen of Hearts (her dress decorated in red sedums) and more! Designed by Melanie Harper/John McGill and inspired by the altered perceptions of reality in the Macmillan Alice book, the garden plays with 3D perspective. Placed on a giant chessboard made of turf and dried natural moss, that has been dyed organically in contrasting colours, the chess squares are made to appear as if they are receding into the distance. 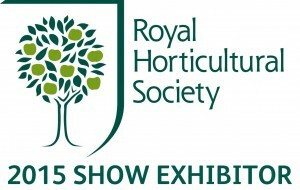 We’re hugely excited to be a part of such a prestigious event, and look forward to seeing as many faces as possible! The RHS Hampton Court Palace Flower Show 2015 has come to a close! We’ve had a fantastic show and the public reception was exceptional; our display had people stopping and smiling all day long! Thank you to everyone that came along, saw our display, and joined us in the sweltering heat; we’re incredibly grateful! 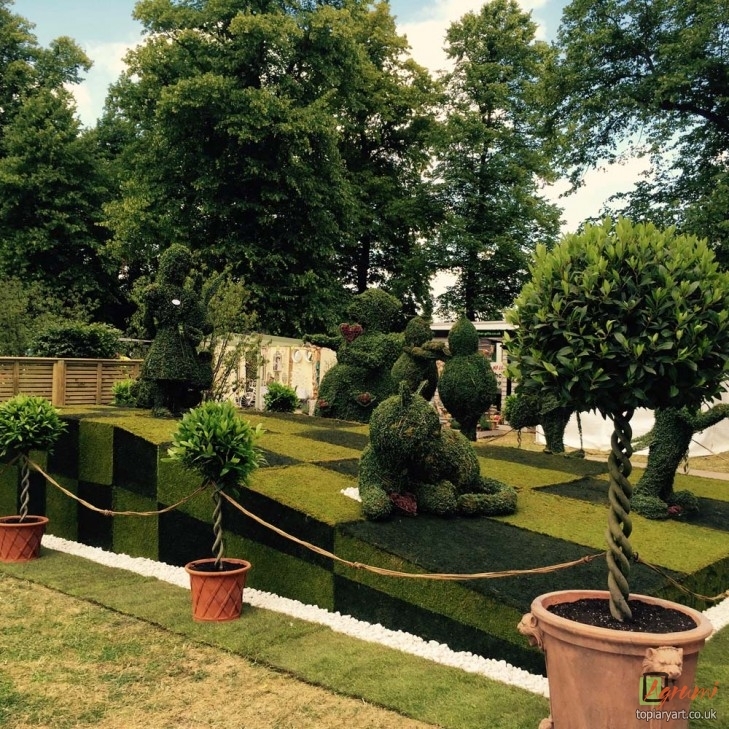 It’s not the end for our topiary Alice garden, however, as you’ll be able to find them on display at RHS Garden Harlow Carr, Hyde Hall and Wisley over the Summer; so, if you missed out, they’re worth a visit!